For your edification, the dog days of summer last from July 24 to August 24 and are named for Sirius, the dog star. If you don’t have any Knob Creek (seriously? ), another high rye will do. There’s no substitute for the ginger beer, though. In a mixing tin, add spirits, juice, and syrup. Fill tin with ice and shake vigorously for at least six seconds. 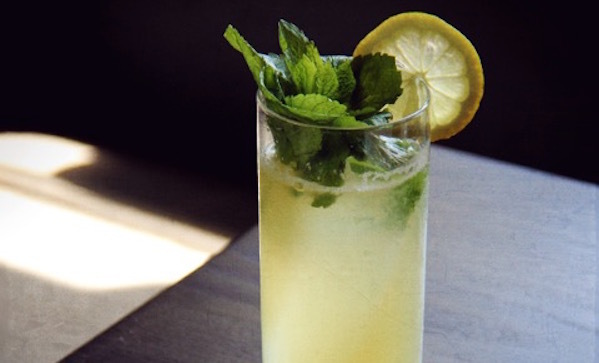 Strain into a Collins glass over fresh ice and top with ginger beer. Garnish with a lemon wheel and mint sprig.